Australian train driver steps off a train, train starts moving without him, train travels for 57 miles and then derails. Thats all. No injuries. But *just imagine* what was going through the train drivers mind when he realised what was happening. "The train was deliberately derailed at a set of points operated by the control centre about 119km from Port Hedland.BHP suspended all Western Australian iron ore rail operations after opening an investigation into the incident.In 2017, BHP was ranked as the world's largest mining company and it primarily mines coal, copper, iron ore and petroleum. The train began its getaway when the driver stepped off to inspect a wagon at around 4:40 a.m.
"At approximately 0440 on 5 November 2018, the driver of a loaded ore train consisting of four locomotives and 268 wagons stopped at the 211km point. 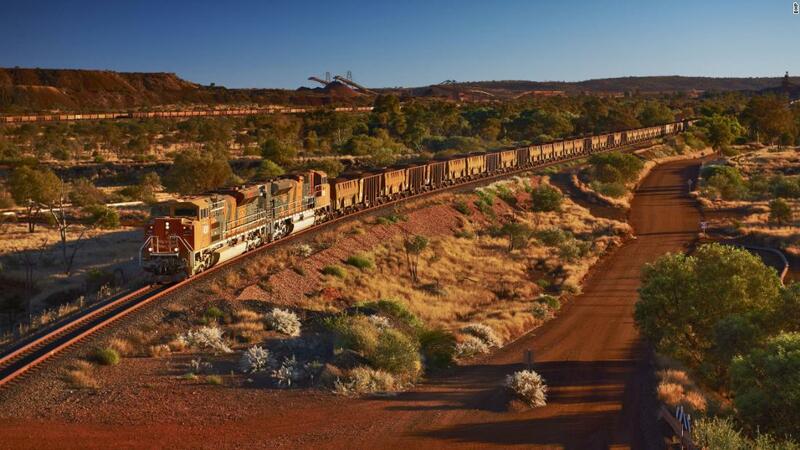 "A Western Australia iron ore train has been derailed near Turner River on route to Port Hedland this morning," BHP said in a statement. The vehicle, which had no one on board but was laden with iron ore, consisted of four locomotives and 268 wagons, according to the ATSB's statement. It was eventually forcibly derailed just under an hour later at 5:30 a.m. "While the driver was outside of the locomotive, the train commenced to runaway," the ATSB statement said. A train loaded with iron ore has been forcibly derailed after it travelled 57 miles (92km) across Western Australia without a driver.The train, operated by BHP Billiton, took off after the driver got off to inspect an issue with one of the 268 wagons.No one was injured in the incident but the damage to the train was reported to be "substantial".